May is the month to celebrate Moms! If it weren’t for them, we wouldn’t be who we are today! Make sure you let all moms know that this year! There are a lot of great prizes in the MUM’S THE BEST Giveaway! Anderson's Angels, Woven by Words, The More The Merrier and ,This Mamas Life are very excited to bring you the Mum’s The Best Giveaway Event! We've teamed up with over 15 other wonderful bloggers, to bring you another great giveaway event! Each blog has gathered a prize package worth $25 or more so be sure to visit each blog and enter! I am excited to be bringing you a wonderful home decor package! In this prize package you will receive a 5-7 pound Himalayan Salt Lamp and your choice of any Banner from OneTinyHeart Etsy shop! Disclosure: Hosts & participating hop bloggers of the Mum’s The Best Giveaway Event are not responsible for sponsors or self-sponsoring bloggers that do not fulfill prize obligations. I love the summer banner most of all or the God Bless America one. I'd choose the banner that says Give Thanks. I would choose the Give Thanks banner. I would choose the Summer banner. I would choose the Summer banner that says America. I would choose the Lucky banner. I like the Love Banner (Valentine Banner Valentine's Day Banner Valentine Garland Love Banner). It could be used for more days than Valentine's Day. I love the Thanksgiving banner. I like the God Bless America Banner!! I would choose the Thanksgiving Decor Fall Decor Fall Decorations Fall Banner Happy Fall Fall Leaves Fall Signs Thanksgiving Decorations. I like the God Bless America banner. It was actually a tough call. There are many beautiful designs. I would choose the God Bless America Patriotic Banner. I would choose the Happy Thankgiving Banner. I would have to get the "Happy Fall Ya'll" banner! It just fits us here in Texas! 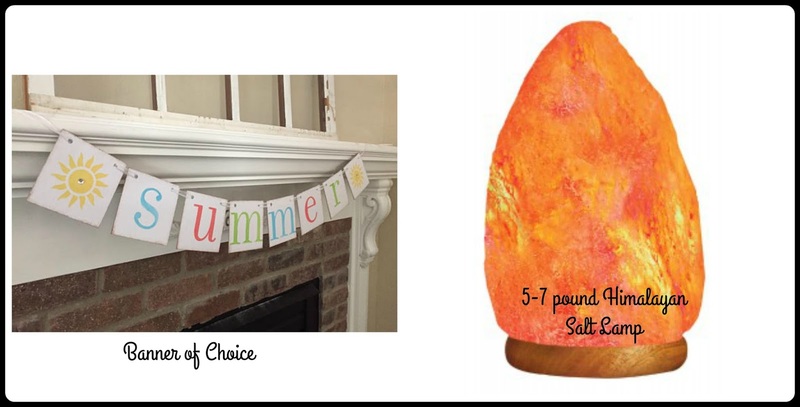 I would choose the Summer Banner• Summer Decorations Summer Garland. Thanks. I would choose the Summer Banner, "Freedom". I would choose the blessings banner. I'd like God bless america! The Easter Eggs Banner is adorable! I would pick the Easter He Is Risen Banner! I would choose the banner that says give thanks! I would pick the "America" summer banner. I would choose the Kiss Me banner for st. patrick's day. I would choose "Happy Fall Y'All"
Love Banner Valentine Banner Valentine's Day Banner Valentine Garland Love Banner would be a top pick. I like the Blessings banner. God Bless America would be awesome for Memorial day and the 4th. I really like the hearts banner. The blessings banner is great, thank you so much! I like to remember my blessings daily so the blessings banner is perfect for our home. The Thanksgiving Give Thanks banner. I'm really liking the "Freedom" banner! I like the God Bless America banner. I like the "Summer Banner• Summer Decorations Summer Garland • Home Decor • Home Decorations". My favorite is the God Bless America banner!Thanks for the chance at this! I like the America banner. I like the Summer Freedom Banner. Since the 4th of July will be coming soon, I like the Freedom banner. I would choose the happy thanksgiving banner. I would choose the freedom banner. I would order the God Bless America Banner in honor of my son who is military. I would choose the Thankful Décor. Thank you for the entry. I would get He is Risen banner. I love all of them, but would pick the Freedom one. I love the Summer banner! It would be perfect for cheering us up while we're stuck indoors thanks to the heat. I would choose the hearts. I would choose the Lucky - St. Patrick's Day Banner. It is difficult to choose just one. I would choose the freedom baner. I like the Thankful banner. I love the God Bless America. I love the summer banner! I like the summer banner. I like this banner. https://www.etsy.com/listing/164903388/thanksgiving-decor-give-thanks-fall?ref=shop_home_feat_4. It would be cute with my fall decor.